Released in August 2011, BlackBerry OS 7 is available for just a narrow selection of devices, namely the BlackBerry Bold, Torch and Curve handsets. This has been seen by many as a bit of a kick in the teeth for owners of older devices – after all, the platform has been available for mobile phones since 2002, and many businesses around the world utilize the BES system for push email. Updating to an operating system that provides no legacy device support, can prove expensive to businesses and individuals alike. Even some devices that are just a couple of years old cannot be updated — this is something that would be unheard of with previous releases. Of course, BlackBerry is playing catch up against iOS and Android, which seems to be why this decision was made. By restricting the number of devices that can use BlackBerry OS 7, manufacturers RIM can ensure that the new release of the platform cuts loose from the older devices and presents itself on a level playing field. While there is little that is completely new in BlackBerry OS 7, you shouldn’t dismiss the devices that are compatible with this new operating system out of hand as they could prove to be extremely good purchases. This upgraded release has allowed RIM to discard the various legacy issues surrounding older devices such as the Pearl phones in order to focus on the newer handsets. By doing this they have arguably created their most compelling and usable operating system version in years — whatever you might think about Research In Motion following the October server outages, as far as the OS goes they’re definitely hitting the right notes. Offering support for touch screen as well as trackpad, you can easily summon your apps by simply sliding them up from the bottom of the main screen. At any point you can return to the BlackBerry desktop by tapping the power button, while the menu button can be identified quickly as it is the one with the platform’s logo on it. When you first switch on a device running BlackBerry OS 7, you will be presented with a setup screen. Here you can sign into an existing BlackBerry account or create a new one, access the various device setup options (BlackBerry Messenger, ringtones, wallpaper, importing SIM contacts, etc.) and use the Device Switch tool for copying your settings and data from an older handset to your new one (note that the old device must also have Device Switch). Getting to grips with any new platform can be tricky. 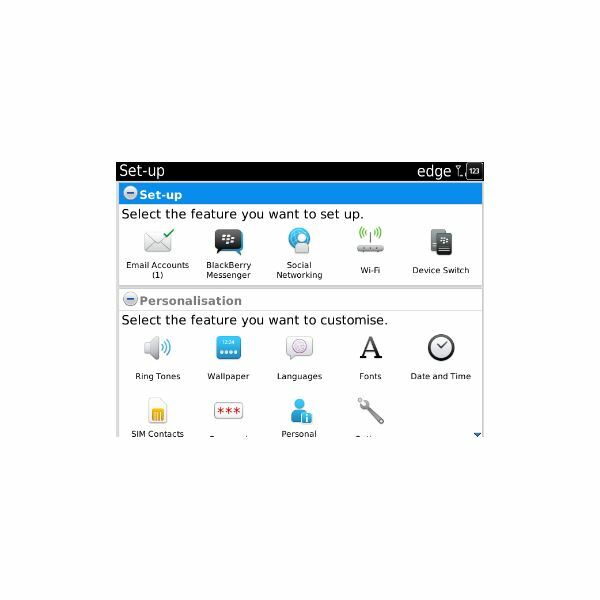 Whether or not you’re new to BlackBerry or simply aren’t familiar enough with the platform to work out how to use OS 7, you can access an excellent supply of tutorials and help files via the Set-up screen. You don’t have to sit and view these when you first switch on your phone either – simply open the Set-up option in the main menu and scroll to the bottom of the screen to access them any time. If you’re having trouble finding anything on your BlackBerry, meanwhile, then apps can be uncovered using the text-based search which can be invoked from the main screen by typing the name of an app or a contact. You can also use voice search if typing is inconvenient. Whichever you choose, if you’re looking for something that isn’t an app, you will be able to search online by selecting an appropriate app such as YouTube or BlackBerry App World. BlackBerry OS 7 is Online! Like all other versions of BlackBerry OS, this is an operating system that is easily connected to Internet services, whether by mobile Internet or Wi-Fi. The difference with BlackBerry OS 7, however, is that the focus on getting connected and using the services is better embraced. As a result of this, you need only open the menu and select the Manage Connections option to get online, and here you will have access to the best social networking applications as well as email and web browsing. Email has long been BlackBerry’s killer app, although that has recently been superseded by BlackBerry Messenger, and you can either add an email account when using the initial phone set-up as described above, or revisit the option later on. With email, SMS and BlackBerry Messenger – not to mention native Facebook and Twitter apps – BlackBerry OS 7 is just as geared to connectivity as iPhone, Android and Windows Phone. Incidentally updates from all of these services will appear on your device in a strip across the top of the screen, just below the clock. Selecting this bar will display a summary of updates. 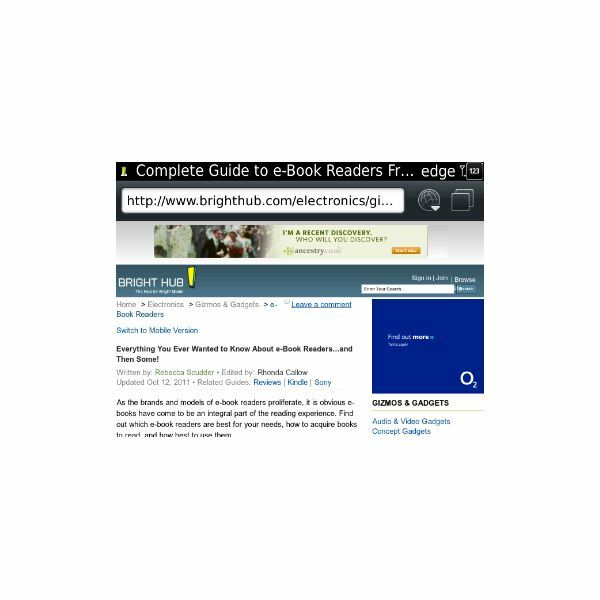 The web browser might seem relegated by the presence of social networking apps, but BlackBerry OS 7 gives excellent reproduction of web pages, as you can see from the screengrab of the Bright Hub website viewed on a BlackBerry OS 7 phone. Interaction with the browser is as simple as everything else with this operating system – the user interface requires either a finger or use of the trackpad. Various apps are included by default with BlackBerry OS 7. Some of these are social networking tools (see below) while others are games. Productivity tools are also included, of course, and these include a memo pad, calculator, task manager, file browser and calendar. If you have an appropriate email account (such as Microsoft Exchange) then the calendar and task manager will sync with your Windows desktop if you access the same account in Microsoft Outlook. Using the calendar is very easy – simply select a date and time slot and input the information as requested. Once saved, the data will be added to your calendar and synchronize with a central account if available. The process of installing a new app is simple. 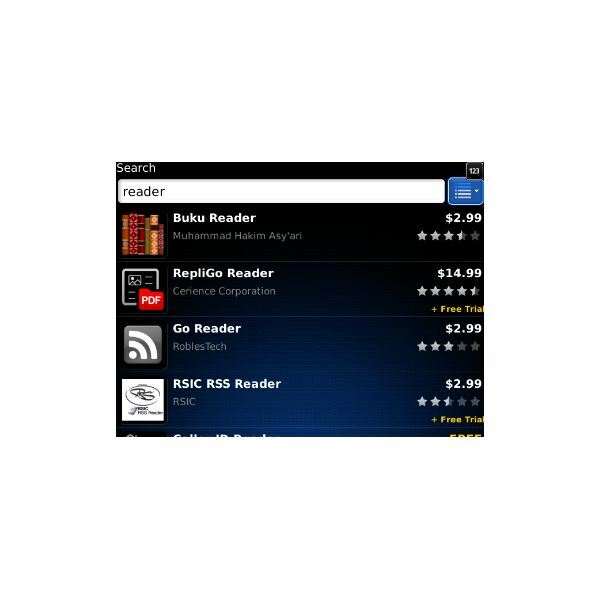 After launching the BlackBerry App World, use the search facility to find the app of choice and read its description. You can head straight for the Download option or select Reviews to find out what others thought of it. Once downloaded, you can choose either the OK button to continue or Run to launch the app and start using it straight away. 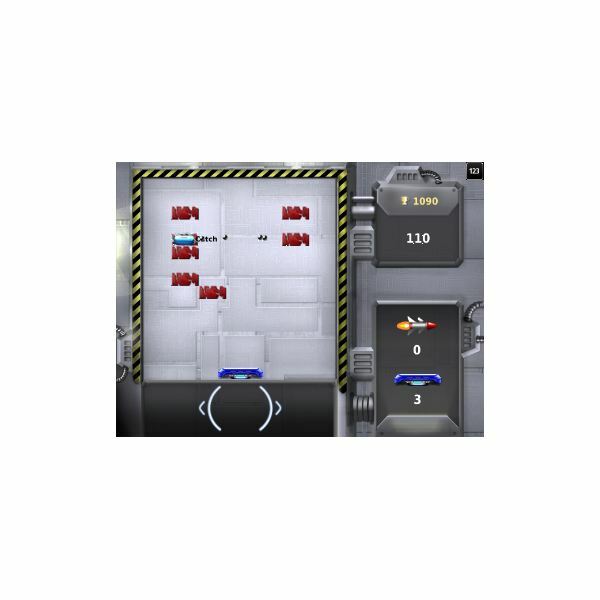 Note that a good selection of games is available for BlackBerry, as well as the couple that are included by default. After installation you might use the Recommend button to tell someone about the app using one of the popular social networking tools pre-installed on your phone. It seems that no mobile platform is complete these days without the inclusion of social networking services. While Windows Phone might have gone a little OTT for some people with Facebook and Twitter integration, BlackBerry OS 7 keeps things simple with the inclusion of separate apps for these two services alongside the expected SMS, email and of course the popular BlackBerry Messenger app. In addition to these apps, OS 7 also includes a YouTube app for both viewing and uploading videos. The platform supports high definition video recorded on suitable handsets (notably the Blackberry Bold 9900/9930) which means that you can easily record footage with the 5 MP rear camera and upload to YouTube simply by launching the app and selecting Upload Video, or by highlighting the app, pressing the Menu key and selecting Upload to YouTube. Using Facebook on your BlackBerry OS 7 device allows you to connect the account with BlackBerry Messenger, as well as the contacts and calendar tools. Naturally you might prefer not to do this, so the best advice is to carefully read the options in the Social Networking screen in the Set-up menu, and clear the check boxes where appropriate. 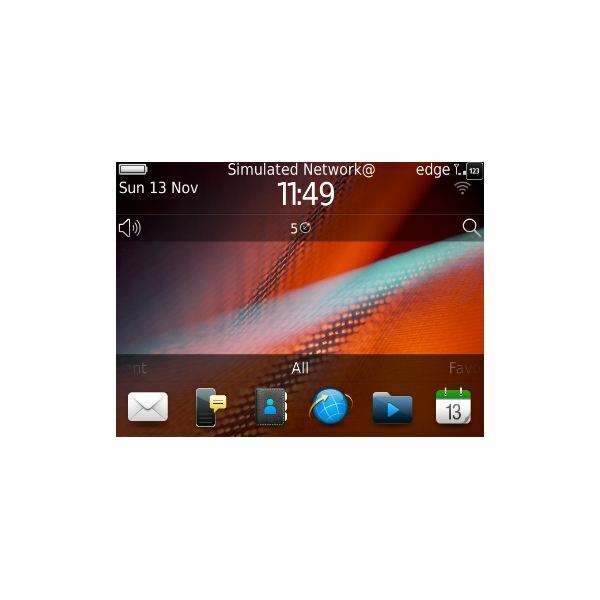 BlackBerry OS 7 – Easy to Use! As you can see, this new release of the BlackBerry OS is remarkably easy to use, much more than earlier versions and more in keeping with the user experience found on devices running the various competitor operating systems. The upgraded OS makes the phones more easy to use, a little faster (particularly the browser) and allows you to contact your friends and family in a variety of different ways, from BlackBerry Messenger to Facebook, SMS and normal phone calls. 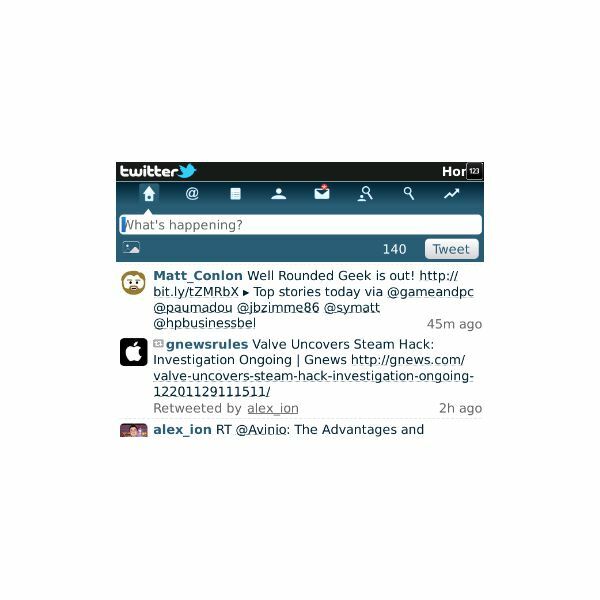 One last tip – you might find that you have several apps open and running at once. 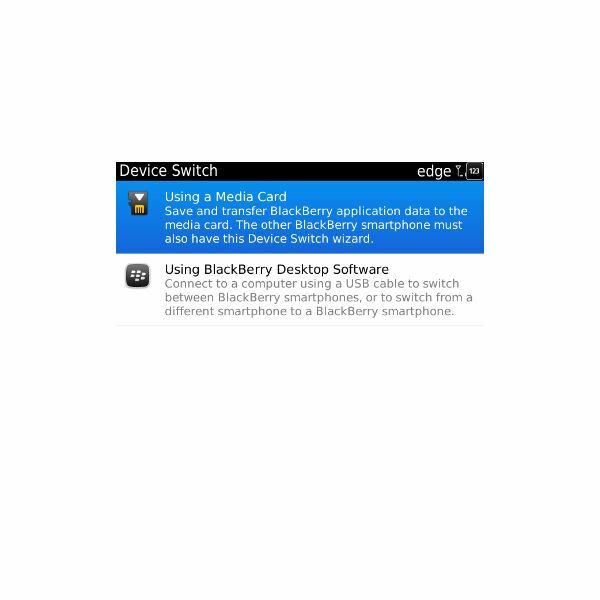 To switch between them, simply visit the main screen on your BlackBerry and tap the Menu key, selecting Switch Application and choosing the app you wish to switch to via the trackpad or your finger.